Stones made from volcanic rock from the earth service where Lava flows. called Basalt and this rocks are what is used in a Hot stone treatment. The rocks keep the heat for a lot longer. The stones are generally heated in a Special heater to around 100 and 130 degrees. But the stone will be cooled when placing them on the body. 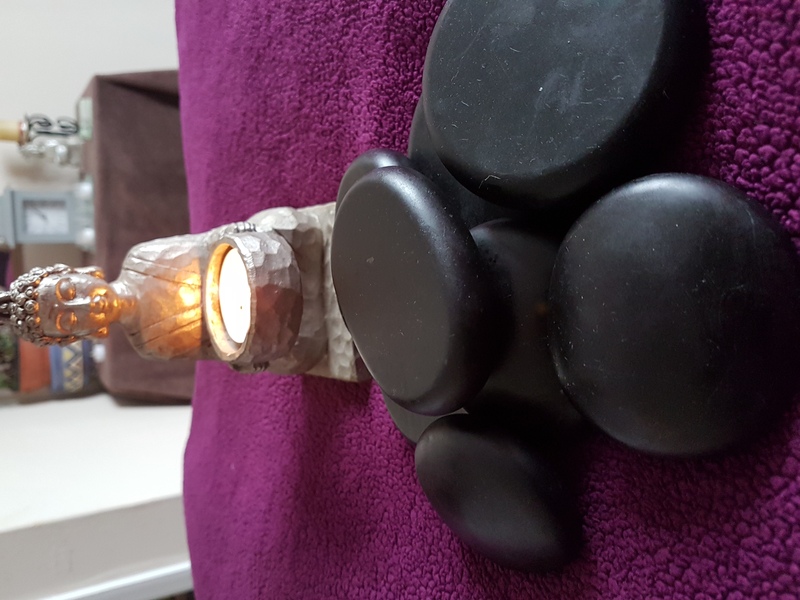 During a treatment these are incorporated into a massage it can be by placing the stones onto the body in chakra line, it can be a great start to a massage as it helps break down the knots of the body, It helps relax the muscles prior to and after a treatment, Stimulates circulation. It is a nice treatment on a cold winters day. Very relaxing treatment. 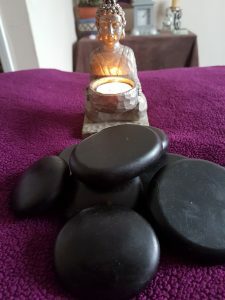 Sometimes Hot stone massage is not suitable for people with Diabetes, Pregnancy, High blood pressure due to it being a more stimulating treatment. It is important to make sure that the therapist is fully trained like with all massage treatments. At A Healing Touch professionalism is the key element to my successful business and each treatment is tailored to you. Please note this treatment is only done at my Treatment room due to the hot water, and not on mobile visits.